Halabja is a small town in the South of Kurdistan, near the so called Iranian Border, north of Sulaimaniya. 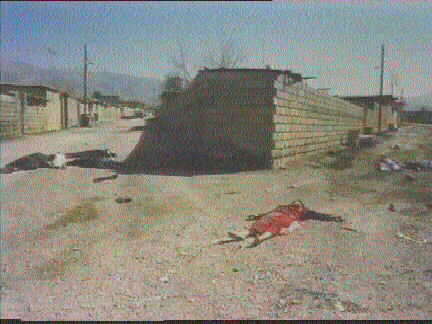 This small city, during the Iran-Iraq war has come under series of brutal attacks from saddam Husseins Regime. 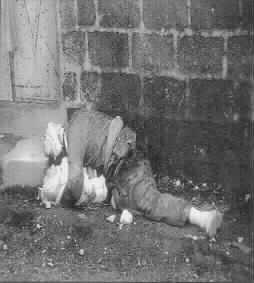 On the 16th March 1988, the town has come under heavy chemical bombardment from Iraqi Airplanes. The brutal Saddam's cousin pointed as a Ruler of Kurdistan, has ordered the bombardment as a pretext that the Iranian enemy were invited by Kurdish Fighters. 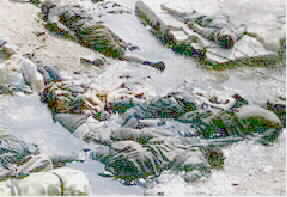 5.000 civillians were immediately dead thousands injured and the rest fled to Iran. Even today, there are many wide spread diseases in the area were the citizens returned after the uprising of spring 1991.